Hannah received her master's degree in occupational therapy from the University of Mary. She holds a Certificate of Clinical Enhancement in Assessment and Treatment of Pediatric Feeding and Swallowing Disorders. She is certified in Neuro-Development Treatment in Infants and Children, and Therapeutic Listening. Hannah has experience working with children of all ages with developmental and physical delays. 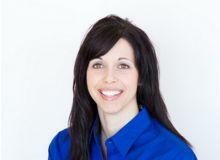 She has advanced training in treating children with trauma, feeding and swallowing, and sensory processing disorders.